The next member of the LitWorld team to share her favorite read aloud memory is Susannah Rosenfield, one of LitWorld's phenomenal interns. "While trying to remember a specific favorite read aloud moment, I realized my fondest memory could not be condensed into one story. Instead, cherished memories are a whirlwind of shared stories all forming the reading culture that percolated throughout my household. 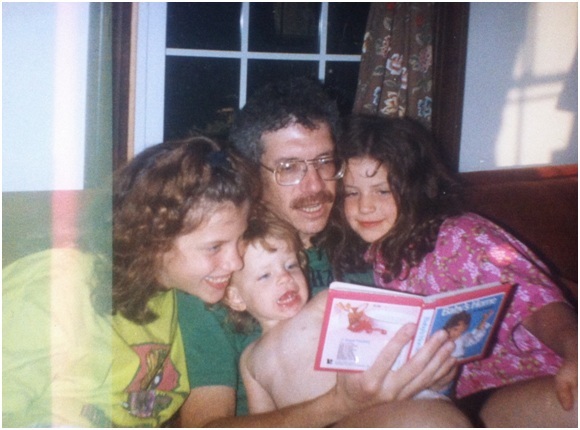 In the Rosenfield home, literacy was always a collaborative and well-supported pursuit. My two older sisters helped me stumble through my first picture books, my father and I discussed what we are reading, and my mother fell asleep with the New York Times in her lap. Recounting these wonderful reading memories made me realize that my family has always been engaged in a dialogue of reading it forward." Older PostMeet Social Media WRADvocate Jennifer Vincent!